Chinese government officials used excavators and pickup trucks to demolish the sanctuary of Our Lady of Mount Carmel in China’s Henan province Tuesday, a popular pilgrimage site for Catholics since its founding in 1903. Each year on July 16 thousands of pilgrims travel to the shrine from nearby provinces, such as Hebei and Shanxi, to celebrate the feast of Our Lady of Mount Carmel. In 1987, the government outlawed large religious gatherings and limited the number of pilgrims to 300. The sanctuary’s demolition is the latest in a string of hostile acts by the Chinese government targeting Christian churches in its intensifying crackdown. 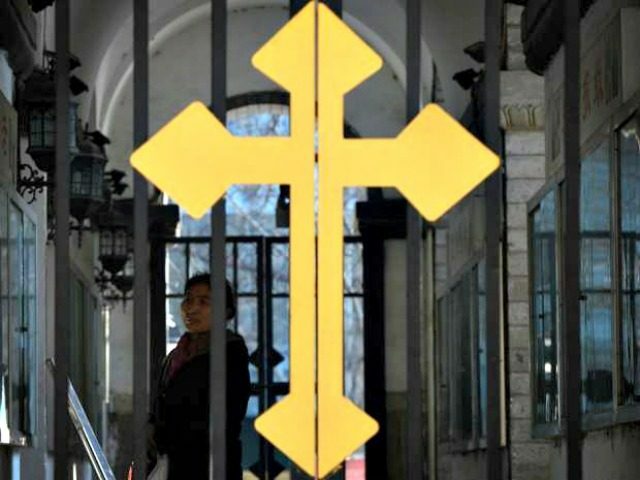 Henan is home to an estimated 2.4 million Christians, making it the second largest Christian population in the country and an area of special concern for the officially atheist communist party. Henan’s Communist Party Secretary, Wang Guosheng, has already suppressed eight of the province’s ten Catholic dioceses since taking power last March. Officials have also shut down Church-run kindergartens in the area, and one bishop’s tomb has been desecrated. Some weeks ago, Chinese officials ordered Bishop Joseph Zhang Yinlin of Weihui (Anyang) to dismantle the Way of the Cross at Our Lady of Mount Carmel without offering any reason for the decree. Since the bishop failed to carry out the destruction of the shrine, officials intervened. The sanctuary of Our Lady of Mount Carmel, located in Tianjiajing village, is the only pilgrimage site in Henan province. It was created by Bishop Stefano Scarella, the vicar apostolic of Northern Honan from 1884 until his death in 1902. Bishop Scarella dedicated the shrine to the Virgin Mary, in gratitude for protection of missionaries during the Boxer Rebellion. In April, the U.S. Commission for International Religious Freedom (USCIRF) published its 2018 report, in which it once again designated China as a “Country of Particular Concern,” meaning that the Chinese government engages in or tolerates “systemic, ongoing, and egregious” violations of religious freedom. China is one of only 16 countries in the world to earn this notorious designation, which it has held since the list began in 1999. In 2017, China advanced its so-called “sinicization” of religion, “a far-reaching strategy to control, govern, and manipulate all aspects of faith into a socialist mold infused with ‘Chinese characteristics,’” the report stated. “The strategy amplifies the Chinese government’s existing pervasive policies that, over time, have intruded into various communities,” it noted.